Cooking has always been my passion and as a full-time housewife, that is definitely an advantage. My mother has taught me everything I know about cooking and it is a passion we also shared. When she passed away, her teachings and recipes got me by. I am always keen on adding twists to common dishes so I could make it appealing to my family. 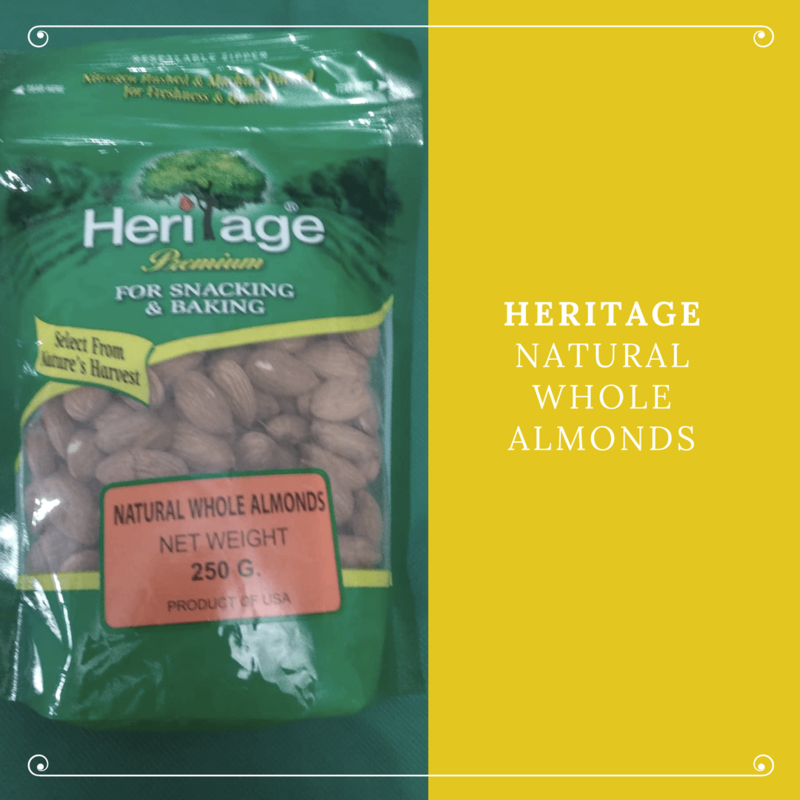 Heritage is one of the brands I mostly use to add twists to my favorite dishes and I will now be sharing with you recipes with Heritage products that are delicious, kid-approved, and yummy! The staple Filipino food Embutido is one of my kids’ favorites. 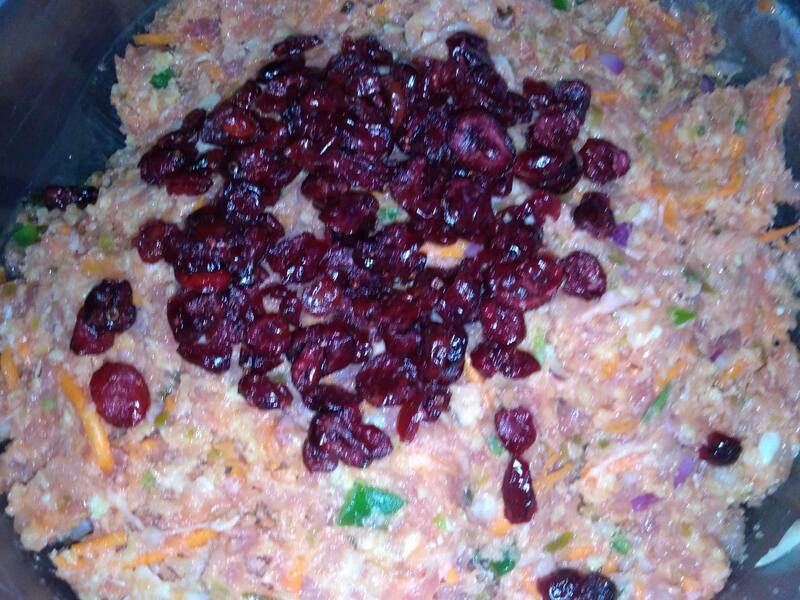 This may be likened to what other cultures note as meat loaf. For this, I looked up a recipe embutido and tweaked the ingredients and proportions to my liking. In this recipe, I used the one from the every so popular Panlasang Pinoy. 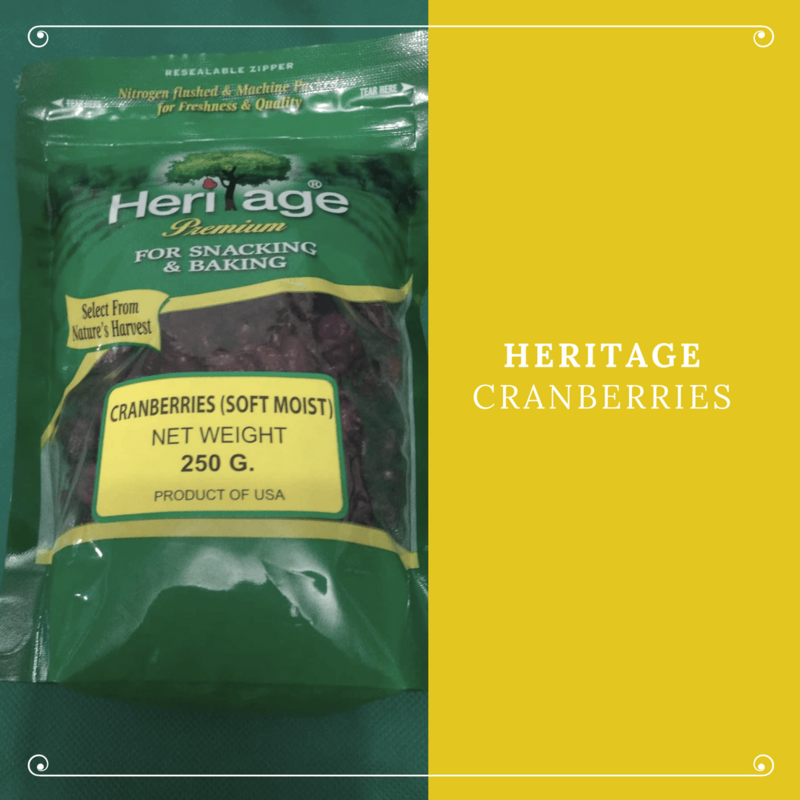 Add the HERITAGE dried cranberries, tomato sauce, salt, and pepper then mix well. 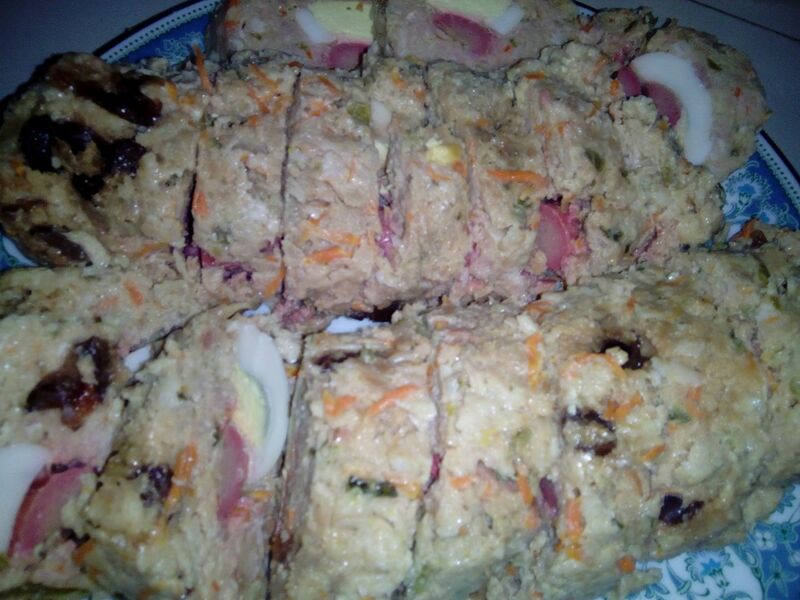 Put in the sliced vienna sausage and sliced boiled eggs alternately on the middle of the flat meat mixture. 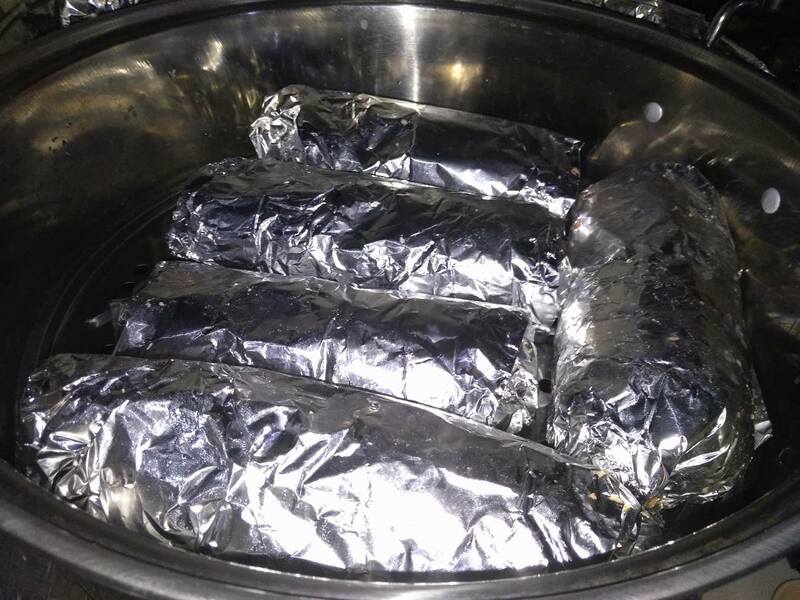 Roll the foil to form a cylinder — locking the sausage and egg in the middle if the meat mixture. Once done, lock the edges of the foil. Place in a steamer and let cook for 1 hour. Slice and serve. OR slice, fry, and serve! Some people prefer to have their Embutido sliced directly from the fridge and that works well too! 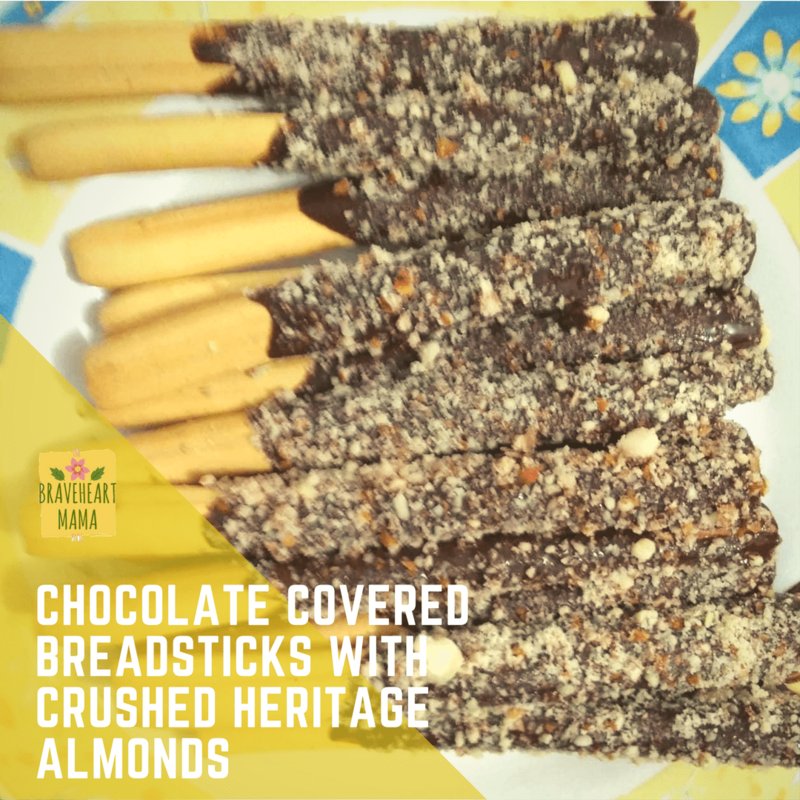 Next up is a dessert snack perfect for parties and even for your kids’ baon! My kids love Pepero but they really are expensive and we cannot afford to have it as their recess everyday and whenever their cravings start. 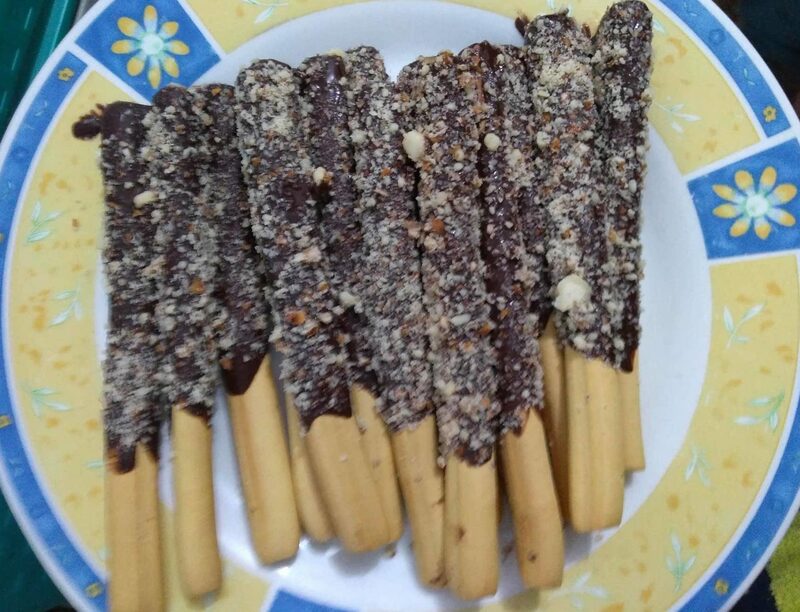 So I decided to make my own version of Pepero. For this one I just need three ingredients, Heritage Whole Almonds, Melted Chocolate, and Breadsticks. You can make your own breadsticks but I had a store-bought one as it is quicker to acquire. 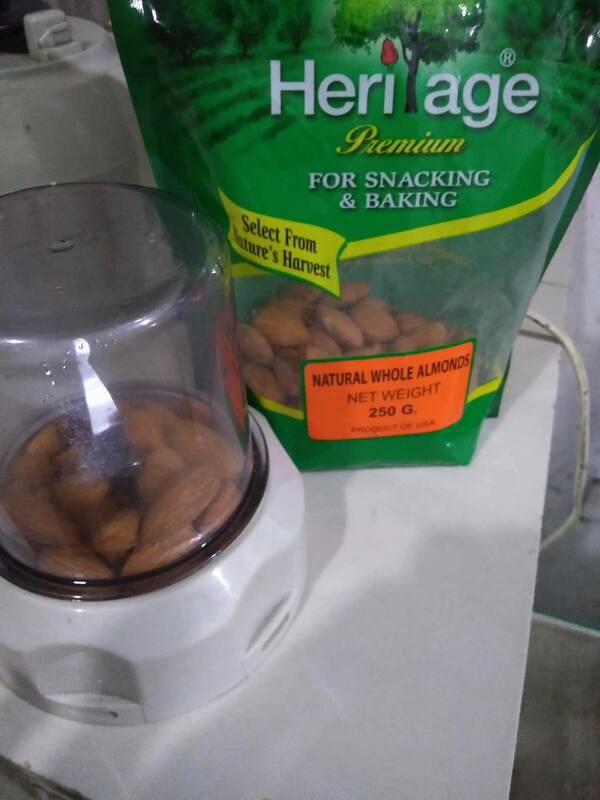 First, I placed the Heritage Whole Almonds in a food processor and processed it enough just to have small chunks. 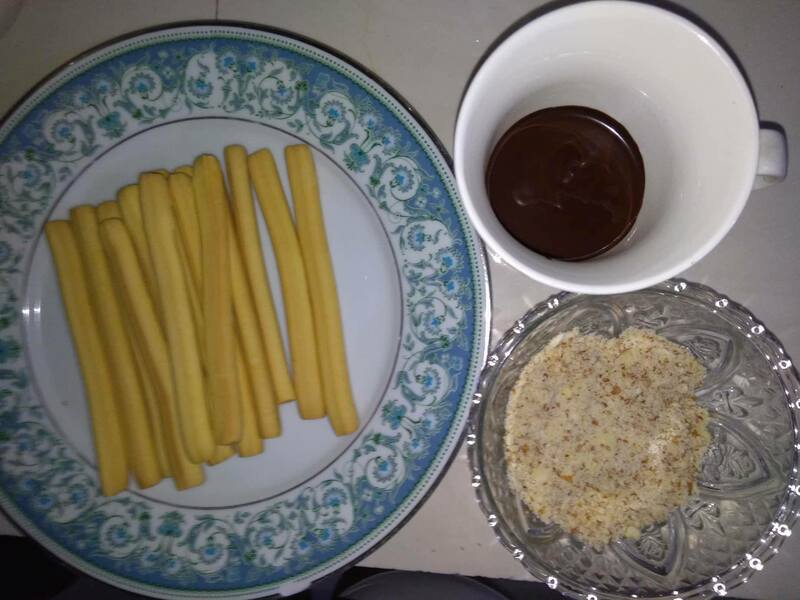 Then I dipped the breadsticks in chocolate up to about 3/4 of the breadsticks. Then I sprinkled crushed almonds on the breadsticks. Place the breadsticks on a plate or tray and put inside the refrigerator. Wait for the chocolate to harden and you now have your own dessert! Quite easy! 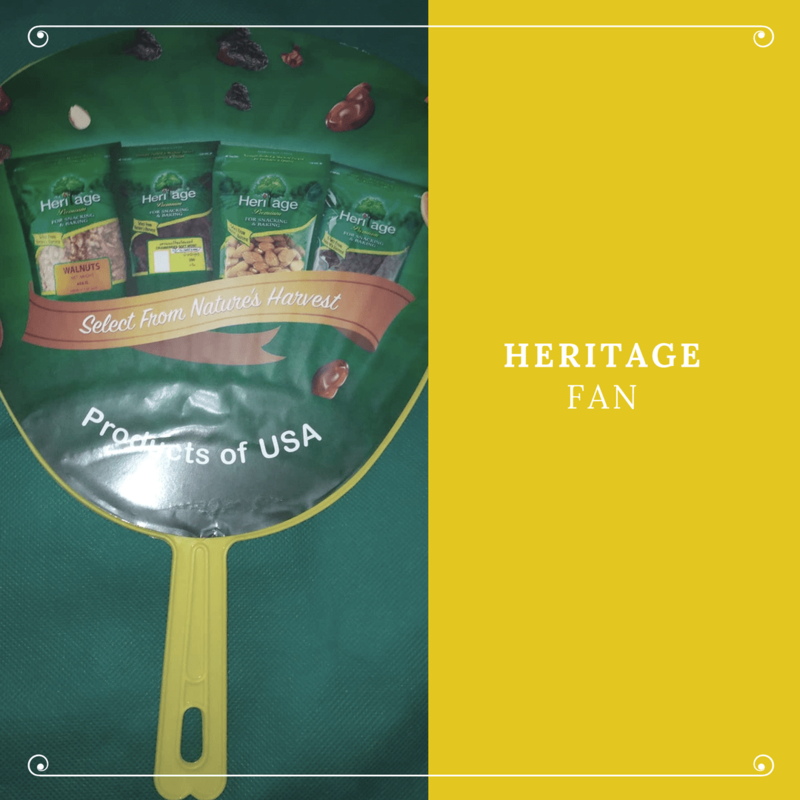 I received the following goodies from Heritage Philippines and I could not be more happy! They all are very useful for me. 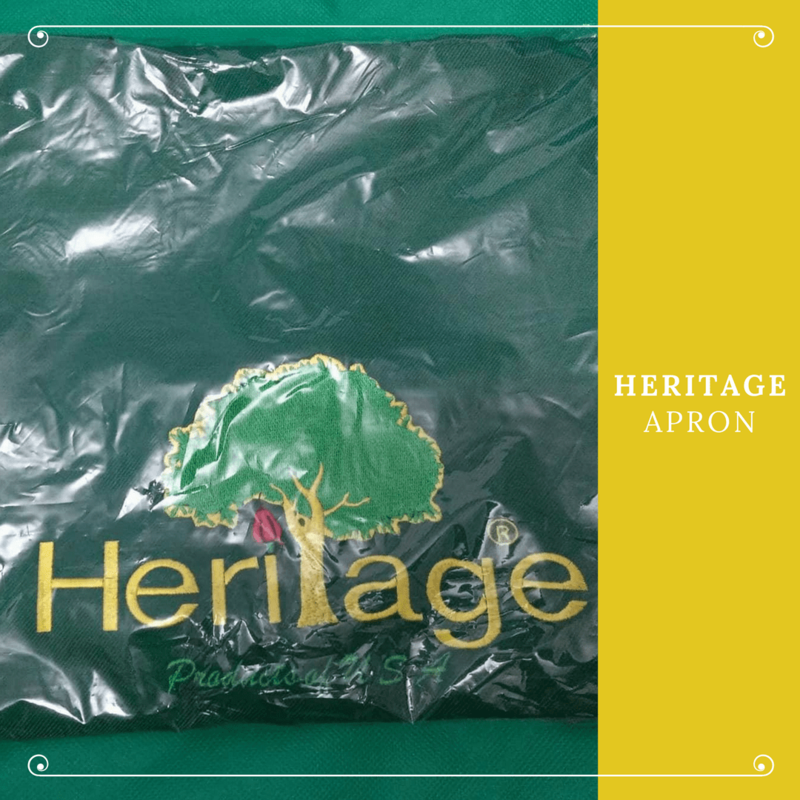 If you want to win goodies like this, be sure to Like Heritage Philippines on their Facebook page here and watch out for giveaways and promos! Next story Our Johnson’s Baby #MomsRepresent Experience!